While maintaining excellent oral health should always be the top priority, our doctors at Morgan-Hill Dental Care also understand that many patients want to enjoy straighter, brighter, and more confident teeth as well. That’s why we offer several cosmetic services that are specifically suited to this goal! 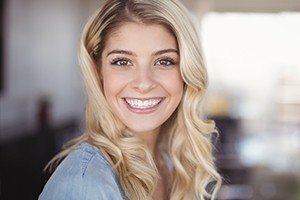 During a FREE consultation, we’d be happy to help you explore your smile goals in further detail and determine the treatment options that best fit your personal vision, arranging them into a smile makeover plan that’s entirely unique. To get started here in Gorham, please don’t hesitate to contact us today. Why Choose Morgan-Hill Dental Care for Cosmetic Dentistry? So you’re ready to pursue cosmetic dentistry…but maybe you have no idea where to start? During an initial consultation, our dentists can help you take the first steps towards a comprehensive and confident smile makeover. We’ll put together a plan that will be composed of all the different services your teeth need to regain their full vitality, from dental implants to Invisalign to porcelain veneers, while also taking your personal budget and schedule into account. We hope to exceed your expectations! Straightening your smile doesn’t have to require a mouthful of metal brackets and wires. Invisalign is a much more aesthetically pleasing orthodontic service that relies on an aligner system instead for gradual tooth movement. The clear aligners are extremely subtle when worn, and their removable nature also means that patients can continue to enjoy their favorite foods and practice oral hygiene at home like normal. Porcelain veneers are custom-made, thin porcelain shells that can restore a tooth to its natural beauty. 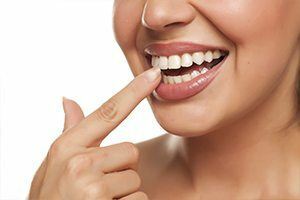 The tooth may have minor damage due to cracking, damage, or stains, but veneers can be designed to make them all disappear behind a flawlessly white smile. They’re actually the secret behind many of Hollywood’s most attractive smiles! Rebuilding damaged, decayed, and hurting teeth doesn’t have to lead to a sacrifice in your smile’s cosmetic quality! With metal-free materials, our dentists here in Gorham are able to create seamlessly attractive and durable additions that blend right in with a person’s confident appearance. They’re also 100% biocompatible, which means that they won’t react strongly to temperature changes and are even safe for patients who’ve experienced allergies to common dental metals in the past. 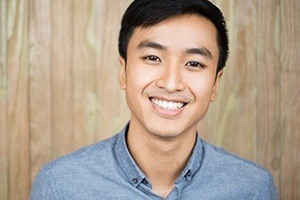 Sometimes, patients don’t need a full-blown smile makeover – instead, they just have one small problem area that they badly want to correct, such as a thin gap between two teeth or a chip in the enamel. With direct bonding, it’s very simple to address these concerns subtly and quickly. One of our dentists will apply a tooth-colored composite resin to the area in question and sculpt it into place so that it seems like just another natural part of the smile. In most cases, this procedure will only require one appointment. Over the years, even healthy teeth can become dull or discolored. 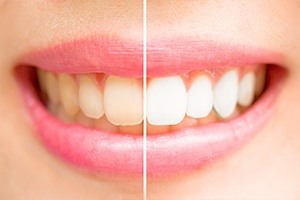 If you’re ready to give your appearance a new boost of brightness, talk to the Morgan-Hill Dental Care team about our professional teeth whitening solutions. We offer both fast in-office treatment and high-grade take-home kits so that our patients can improve their smiles in whatever way works best for them. In many cases, the teeth aren’t actually to blame if a patient is unhappy with their smile – it could be the gum tissue’s fault instead! If the natural gum line is too excessive or unbalanced, our dentists can aesthetically recontour its appearance with a state-of-the-art soft tissue laser. This modern procedure is highly comfortable and conservative. In addition to the clear cosmetic benefits, it may also prove useful in restorative situations – for example, if a patient needs a new dental crown but not enough of the tooth structure is accessible above the gum line. Pursuing the cosmetic smile makeover of your dreams can oftentimes feel intimidating – what if you invest all of this time and money and don’t even like the end result? At Morgan-Hill Dental Care, we want to help you feel 100% confident about your brighter future; that’s why we use digital imaging to show you a beautiful sneak peek. 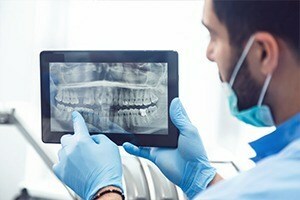 Our dentists will take a photo of your current smile and carefully adjust the image to reflect the changes brought on by certain services, making it much easier to decide which treatment plan best fits your personal vision. So you’ve finally achieved your ideal smile with cosmetic dentistry…but what about the facial skin that surrounds it? 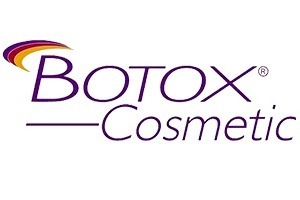 If you’re feeling frustrated by wrinkles, fine lines, and other like-minded flaws, talk to our dentists about the possibility of receiving Botox or Juvéderm injections. These in-office procedures take less than an hour, and they can easily take years off of your appearance by either preventing unnecessary muscles from contracting or filling the space beneath sagging skin.